I had a friend model for me outside, under a tree. 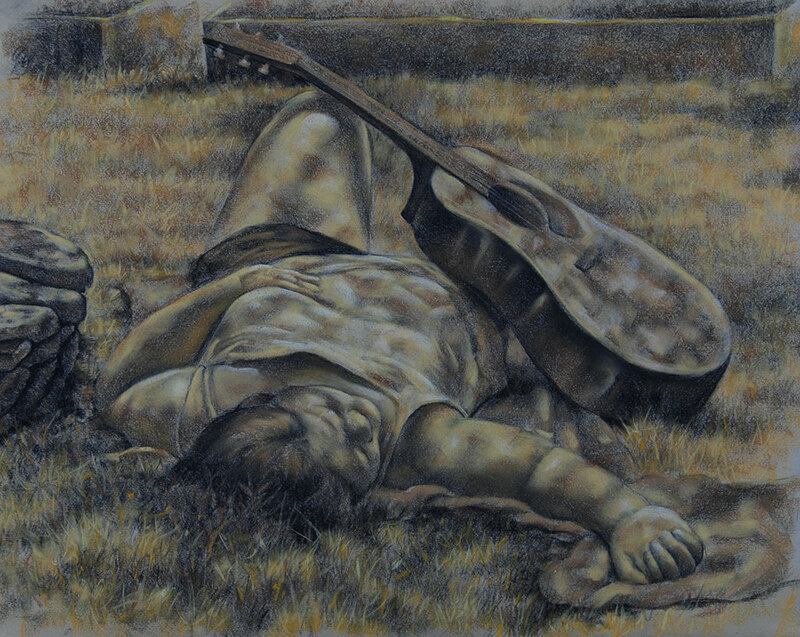 This piece was done in conté and pastel. It is 18" x 22".